At age 11, Aida Cuevas began singing in competitions. It was through these performances that she was discovered, and by age 13 was performing across Europe, referred to as La Voz de México – the voice of Mexico. Cuevas has dedicated her career to traditional Mexican music – specifically Mariachi. The uniquely Mexican genre dates back at least to the 18th century and blends elements of Mexico’s Indigenous cultures with European musical forms and instruments. Cuevas’ performance attire (a Charro suit) is another nod to traditional Mexican culture. Her international acclaim has helped re-popularize Mariachi music in Mexico, as well as establish its place in the realm of world music. 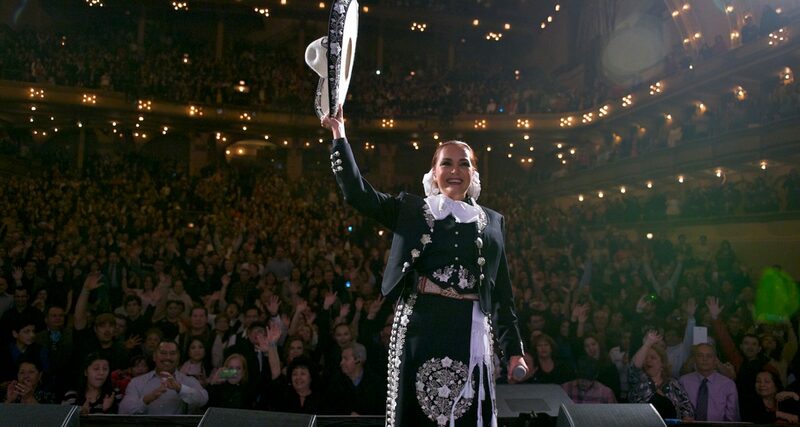 Known with admiration as the Queen of Mariachi, Cuevas has toured four continents, been nominated for seven Latin Grammy Awards, winning for her album De Corazón a Corazón…Mariachi Tango (2010). 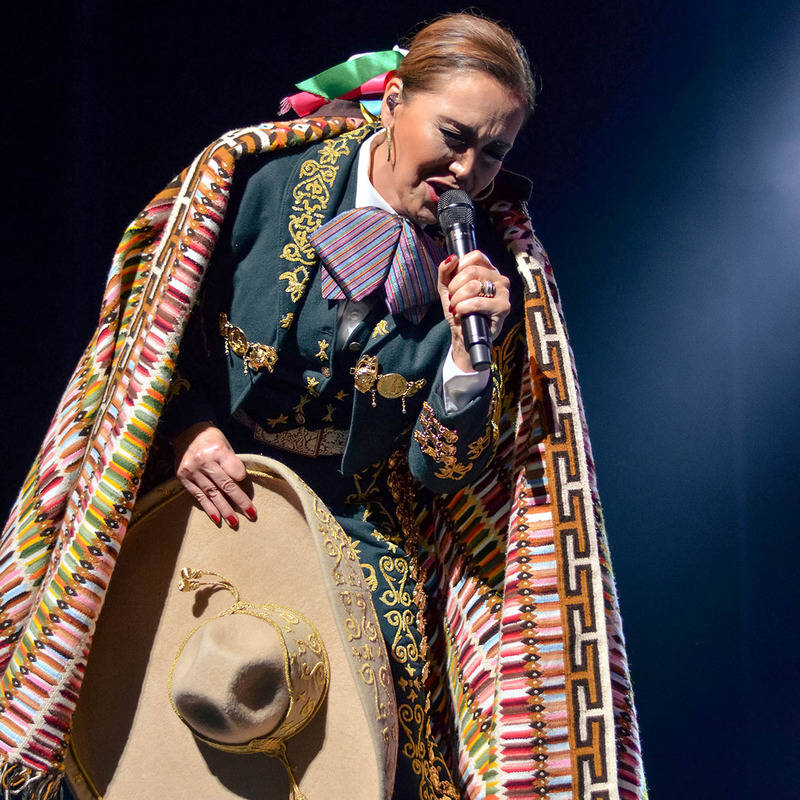 One of her most recent and meaningful accomplishments was becoming the first female Mariachi singer to win a Grammy with her album Arrieros Somos (Versiones Acústicas) in 2018. This year, Cuevas released Totalmente Juan Gabriel Vol. 2, the second of a planned five albums that pay tribute to late Mexican music icon Juan Gabriel. Cuevas has used the platform of her recent Grammy win to speak out about harassment and how the experiences of women in Mexico are different from those of American women. She is hopeful that her success will open more doors for female ranchera musicians. Cuevas comes from a musical family – her brother, Carlos Cuevas, is an acclaimed singer in his own right with a focus on Bolero music. Carlos and Aida often share the stage and have recorded multiple albums together. Cuevas’ son, Rodrigo Cuevas, pursued music production and is the producer of his mother’s six latest albums. It's our obligation to teach the new generations who we are, where we come from, what are our roots. Aida Cuevas performs at the Chan Centre on Saturday September 22, 2018 at 8pm.